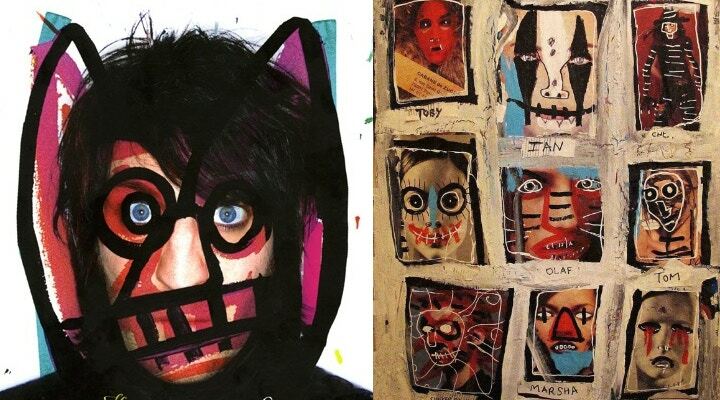 Home > Blog > Happy Birthday to Noel Fielding! 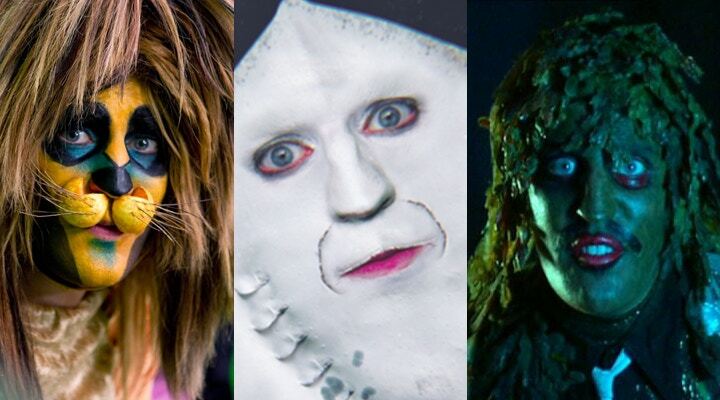 Happy Birthday to Noel Fielding! All of Noel's works are exceptionally fluid, lines are built up with layers of different colours eventually defined with a cartoonish more defined outline. All of these elements build up the character of the subject in question and is part of why Fielding's work is so lovable. This technique is easy to achieve yourself, with a wide hog brush and watered down inks. Try using a roll of 10m Fabriano paper as your surface, the length will give you the freedom to let your imagination take over. Ideas not coming to you? 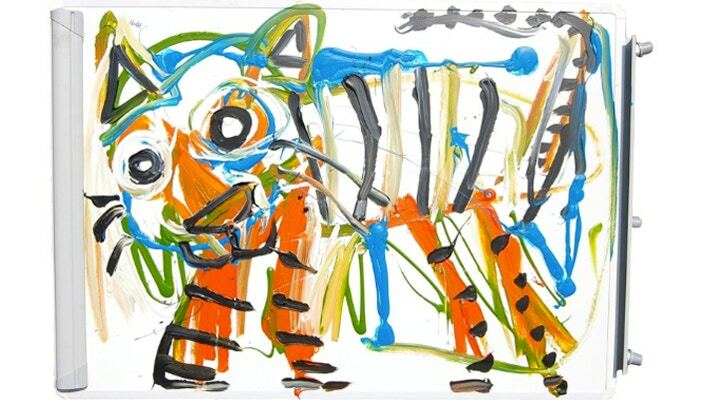 Noel's favourite book is The Jungle Book and loves taking trips to the zoo - start sketching out your favourite animals, developing their charisma as you go. Stand up comedy and being an artist aren't dissimilar, with both you have to present your creativity to an audience. Noel keeps his work interesting by constantly experimenting. Newspaper, acrylic paints, collage and crayons: there is no medium that Noel isn't curious about. Many of his pieces have involved angular painting over photographs, caricaturing the figure underneath. With a few simple block lines, your photograph becomes cartooned - even if you're not a professional artist, this is the perfect technique for a personalised artistic gift! Try printing photograph of friends and family and creating their characters for birthday cards with a pack of 50 cards and envelopes. “I had always drawn, every day as long as I had held a pencil, and just assumed everyone else had too…Art had saved me and helped me fit in…Art was always my saving grace…Comedy didn’t come until much later for me. I’ve always tried to combine the two things, art and comedy, and couldn’t make a choice between the two. It was always my ambition to make comedy with an art-school slant, and art that could be funny instead of po-faced." Noel looks to Salvador Dali (link to Salvador Dali blog) for inspiration as much for the content as the technique. Ensure your imagination is constantly fuelled by watching, reading, listening and doing as many things as possible! Noel keeps a sketchbook handy for jotting down unusual bits and pieces that fly into his head. Alongside your notebook and pens have a look at the work of other artists - be it in an exhibition or a book. Cass Art stock a wide range of books, including Graphic which scans the pages of artists' sketchbooks which is an insight that's guaranteed to get your creative juices flowing! Why not task a risk with materials you're new to? A handy screen printing kit is easy to use and the results are fantastic. Or have a go at creating your own kooky characters out of clay or Fimo for a stop motion animation. Shop online now and remember to follow Cass Art on Facebook and Twitter for all of the latest on art news and interviews.